Brian has always believed in exceeding client expectations and ensuring the highest quality Real Estate advice. He has had many years of experience having worked in Real Estate in the Inner Eastern areas of Melbourne for over 25 years. An expert Auctioneer and Rental Manager having been in charge of departments with over 500 properties and having conducted over 800 auctions. 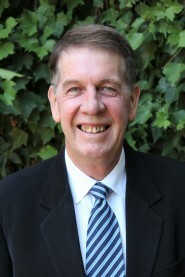 Brian is enthusiastic and passionate about real estate having been influenced by his father who was a builder/developer in Hawthorn, Camberwell and Burwood. Brian was brought up in a Real Estate culture viewing plans, subdivisions and developments from an early age. He is excited about working in the Eastern suburbs market and will work with families and individuals to add value and assess the right time to sell and buy real estate. Brian offers a unique rental and sales service proposition. Junko, having experienced the highly developed Japanese service industry for much of her life is passionate about providing the highest quality service in all aspects of our Melbourne Real Estate business. Born in Shinagawa Tokyo, Junko has been Director and Chief Financial Officer of the successful Fuji Testing Equipment Corporation for 15 years. FujiTest manufactures and sells a wide range of material testing machines. You can see the company product at www.fujitest.co. Junko initially came to Australia to establish an international English capable branch office of the company which has now successfully commenced business. Junko has always been interested in real estate having worked on many renovations, designed her own home as well as designing the purpose built state of the art FujiTest office building in Tokyo. 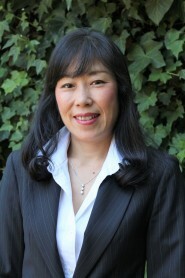 After joining BMG Real Estate she has become dedicated to serving and be helpful to the Japanese community in the Melbourne Real Estate marketplace.